Much data support the concept that proper mitochondrial function is required for adequate glucose-induced insulin secretion. Treatment strategies that focus on increasing mitochondrial function could represent important new approaches in the treatment of diabetes. In patients with type 2 diabetes, the size, number, and efficiency of mitochondria are reduced.3 This can have pathogenic effects in the tissues central to glucose metabolism — the pancreas, liver, and skeletal muscle. Much data support the concept that mitochondrial function is required for appropriate glucose-induced insulin secretion.4 Studies in beta cell lines have shown that when mitochondrial function is experimentally decreased, insulin secretion shows a similar reduction.4 Supporting studies in humans have shown that individuals with disabling mutations in mitochondrial DNA (i.e., the A32433G mutation) demonstrate impaired pancreatic insulin secretion in response to glucose challenge. Strategies that focus on increasing mitochondrial function could represent important new approaches in the treatment of diabetes. Impaired mitochondrial function in tissues central to glucose metabolism (pancreas, muscle, liver) may be partly responsible for diabetes pathogenesis.2 The failure to appropriately manage cellular energy needs may result in impaired insulin secretion and/or insulin resistance.2 Targeting mitochondrial dysfunction may represent a promising path forward in the development of novel treatments for diabetes. Lamson DW, et al. Mitochondrial Factors in the Pathogenesis of Diabetes: A Hypothesis for Treatment. Altern Med Rev. 2002;7:94-111. Patti ME, et al. The Role of Mitochondria in the Pathogenesis of Type 2 Diabetes. Endocr Rev. 2010;31:364-395. Toledo FG, et al. Effects of Physical Activity and Weight Loss on Skeletal Muscle Mitochondria and Relationship With Glucose Control in Type 2 Diabetes. Diabetes. 2007;56:2142-2147. Maassen JA, et al. Mitochondrial Diabetes: Molecular Mechanisms and Clinical Presentation. Diabetes. 2004;53(suppl 1):S103-S109. Ghirlanda G, et al. Evidence of Plasma CoQ10-Lowering Effect by HMG-CoA Reductase Inhibitors: A Double-Blind, Placebo-Controlled Study. J Clin Pharmacol. 1993;33:226-229. This is very interesting. I knew that there is mitochondrial pathway bypass in diabetic ketoacidosis. There is a specific inherited disease identified, but it might not be the same as type 2 DM. Of course, type 1 DM is autoimmune and was once called childhood onset. These patients burn out the pancreatic islets and are insulin dependent, eventually on the pump. Long-standing type 2 also results in islet cell burnout, and is then insulin dependent. 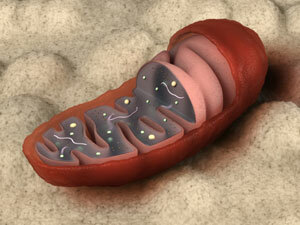 The question is whether type 2 is a defect in mitochondrial DNA? If that is the case, then I’m not sure if it is transmitted on the maternal side. The disease affects every organ, like Syphilis. The islet cells have basement membrane staining, and the loss of kidney function is associated with Kimmelstiel-Wilson disease, also with staining of the basement membrane. This is secondary amyloidosis. The actual mitochondrial function with ketoacidosis is a bypass of the mitochondrion with metabolic flow to lactic acid, and FPK is blocked, and malate entry into the Krebs cycle fails. Is this sounding like some kind of unifying hypothesis lurking? Great explanation. I am pleased that this post has edeified you, you are in a new niche, between the open journals and scientific publishing.